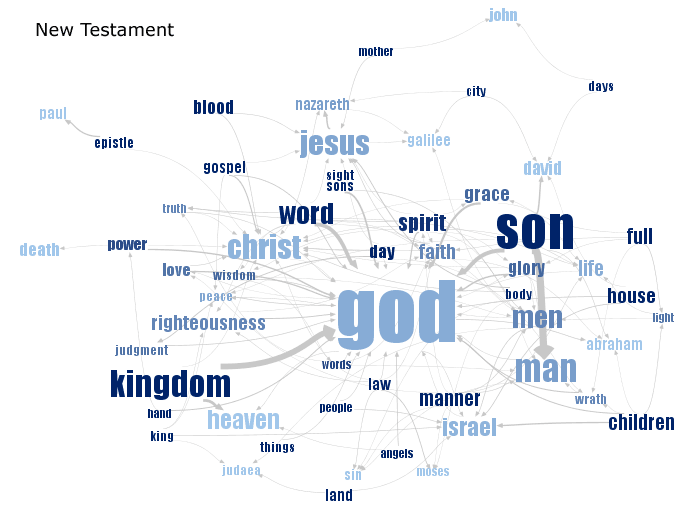 The social data visualization site Many Eyes just unveiled a new visualization type, the Phrase Net, which illustrates phrase connections in textual content. The hard part is finding the right phrase to produce a good visualization. Edit July 2015: IBM has closed Many Eyes, so the above links to the interactive visualizations no longer work. Update April 2010: The ESV is no longer available for free on Kindle. 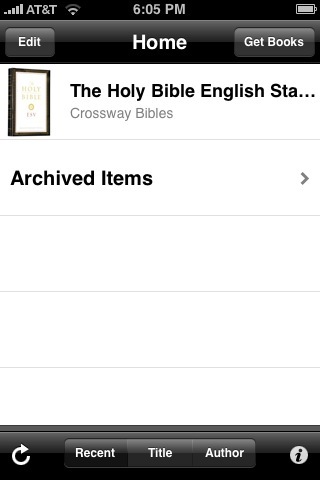 Crossway has, however, made available a free ESV iPhone app. Install the Kindle app from the App Store on your iPhone. Enter your Amazon account info into the Kindle app. Visit the Kindle ESV page on Amazon.com. Click the “Buy now with 1-Click” button (or sign in if necessary). Restart the Kindle app on your iPhone and wait for the ESV to download. It took my iPhone about two minutes over wi-fi. 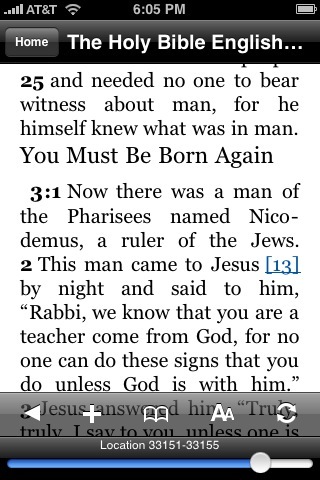 Since neither the Kindle app nor the Kindle iPhone is designed for reading the Bible, navigation can be frustrating. On the other hand, you now have a complete local copy of the ESV Bible on your iPhone without having to pay either for the ESV or for the Kindle. 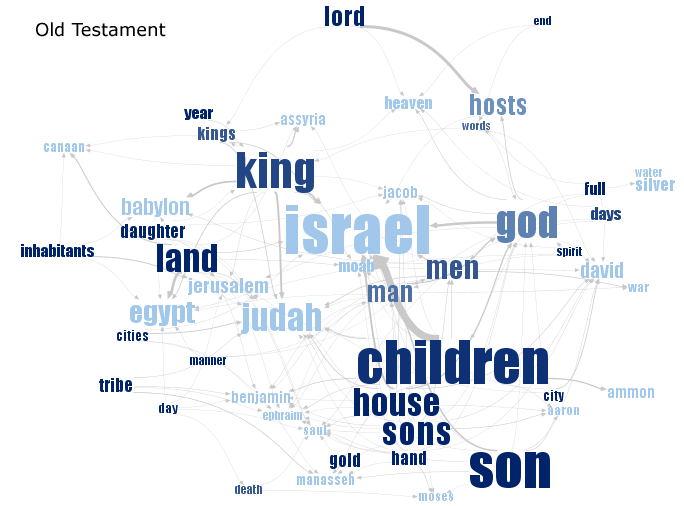 You are currently browsing the OpenBible.info Blog blog archives for March, 2009.